Our Myanmar trip took us across the country from Mandalay to the ancient Bagan, and then to Inle Lake, from where we flew to Yangon. 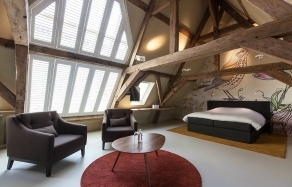 And it is in this big city that we discovered one of the most beautiful examples of a hotel that looks to the future as much as it is grounded in the past. We had been planning the trip to Myanmar for a long time. But while we weren’t sure which places we should be able to see, we knew from the beginning that The Strand Yangon had to be on the itinerary. 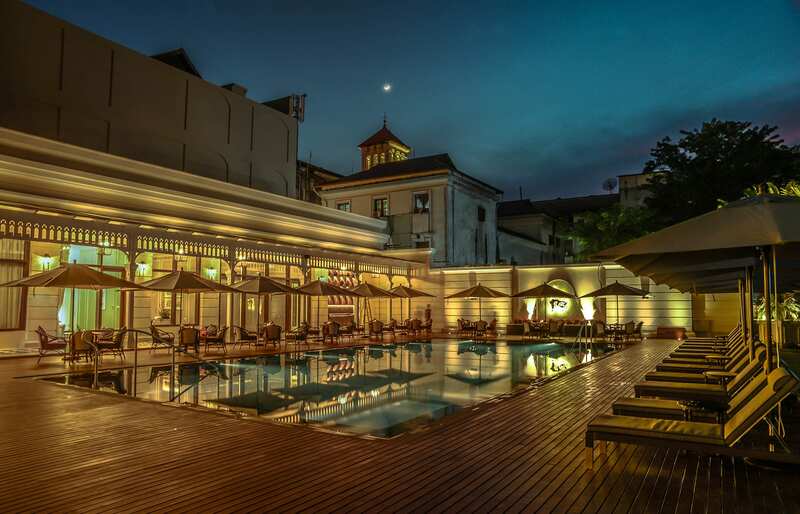 Located right in the heart of Myanmar’s largest city, The Strand enjoys the historical reputation of one of the best colonial hotels in Southeast Asia. It stands alongside such institutions as Raffles in Singapore, where we popped in for the Singapore Sling, or Amangalla in Sri Lanka, where we recently stayed. 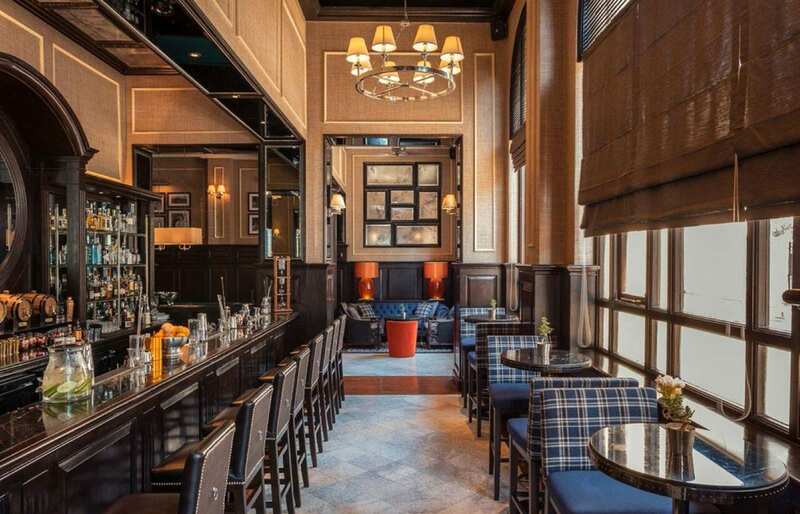 These properties share the themes of the bygone era and maintain a sense of charm and history — and so does The Strand. 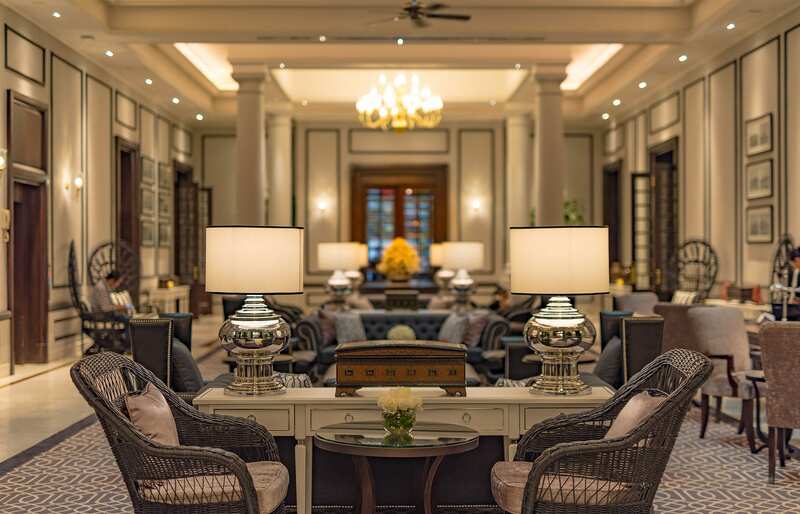 As soon as we walked into the hotel’s grand lobby we felt transported to the era of colonial glamour — even though, crucially, the interior here really does not come across as old-fashioned. 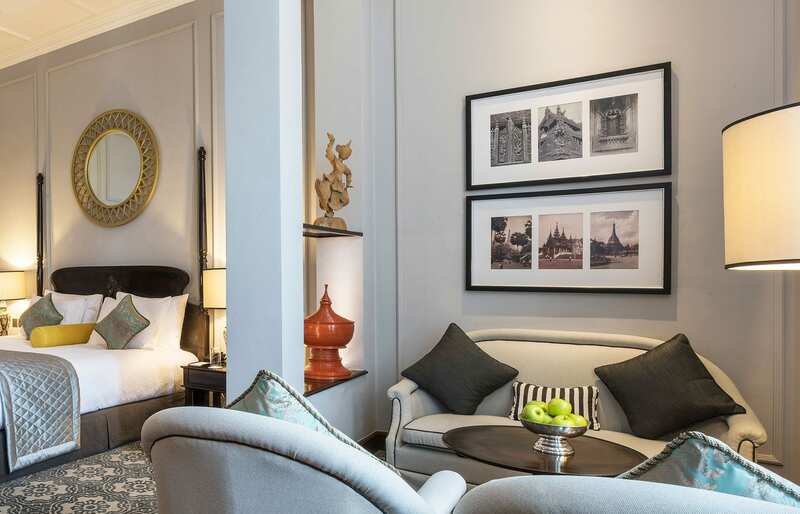 The hotel may have rattan chairs, antique lacquerware, slow-moving ceiling fans and the polished dark wood, but all these look sophisticated and contemporary. We were welcomed with refreshments and a cold towel, which was the perfect antidote to the heat and dust of Yangon, and soon we were introduced to our own Butler team. Each floor of the hotel has its own butler desk. Manned 24/7, the duties of the staff here include room service (e.g. daily tea-serving and replenishing the ice and lime for gin and tonic), concierge assistance, but also the maintenance one of the little quaint traditions of The Strand — that of making a ceremony out of opening the suite doors for the hotel guests. 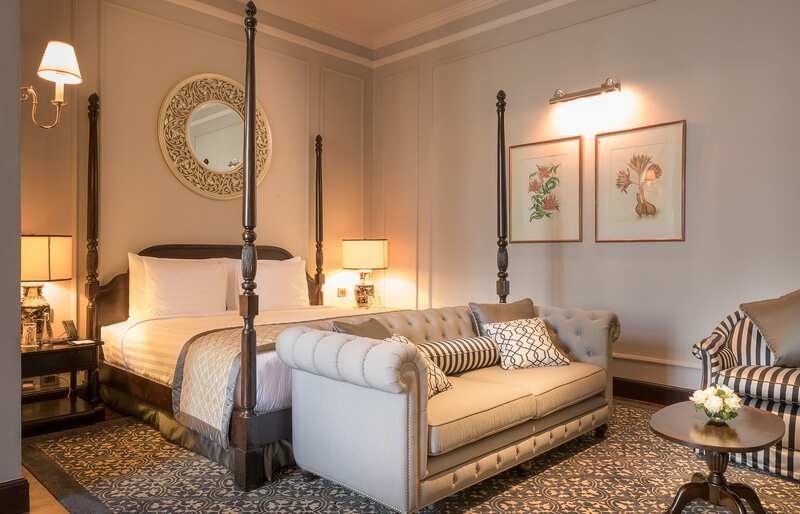 Like the rest of the hotel, our room had the sophisticated feel of an “old-world meets 21st Century”, with teak wood flooring, high ceiling, antique-filled bedroom and an adjacent tea-serving area with a comfy sofa and two matching chairs. As we were taking it all in, our butler busied himself with preparing a welcome tea on a silverware. Refreshed and settled-in, we were soon getting ourselves acquainted with the rest of the hotel. 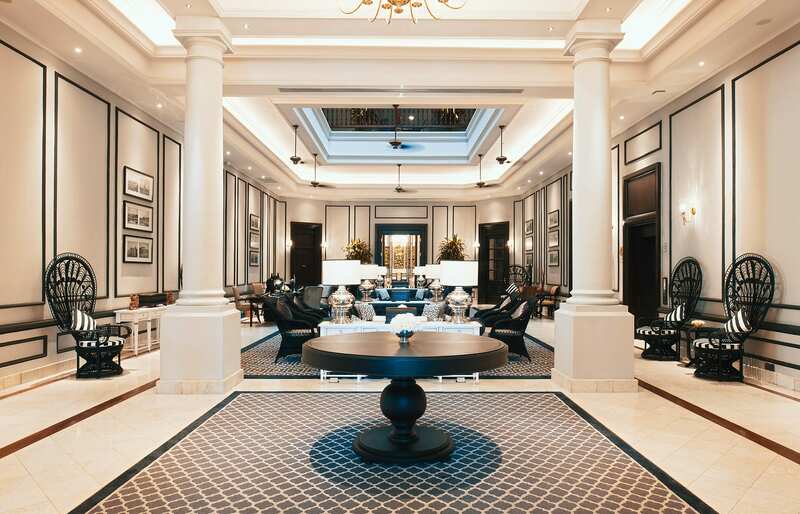 The Strand has recently undergone a six-month refurbishment. 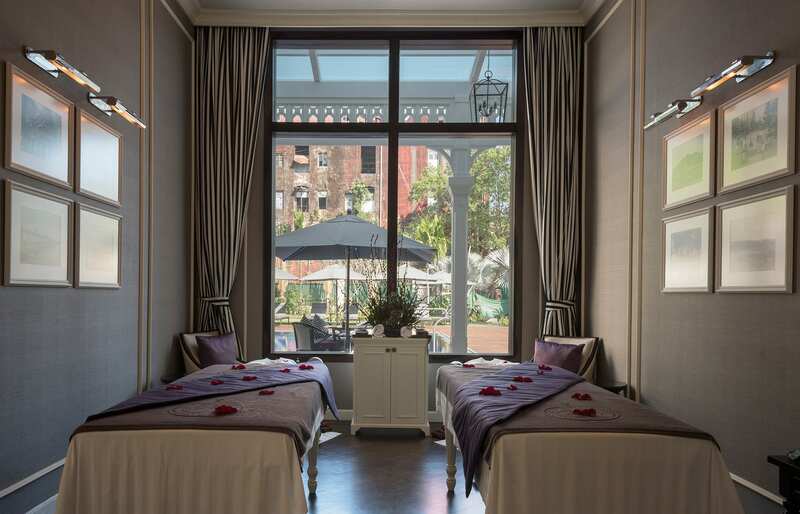 This resulted not only in an upgrade to the interiors and the overall look but also in the addition of a state-of-the-art gym, the spa (try a traditional Myanmar massage! 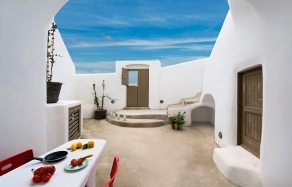 ), and an outdoor swimming pool. 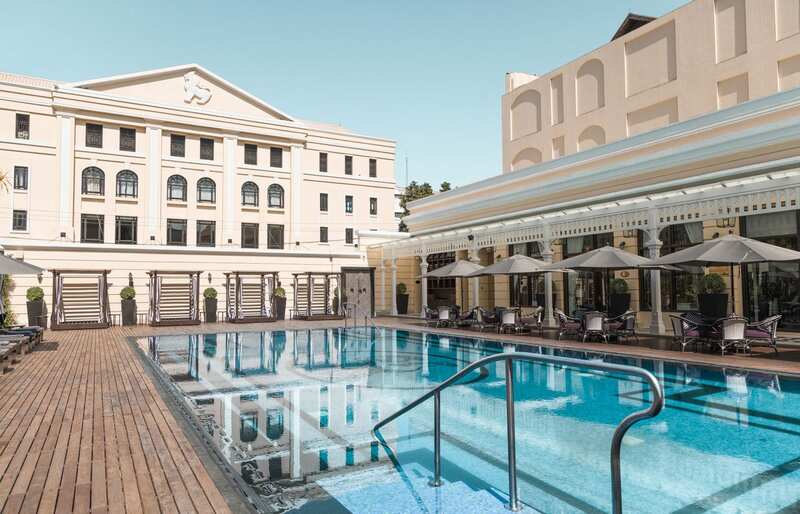 The pool is the perfect place to lounge during the day, especially after venturing out to explore the city. We did walk around in the immediate neighbourhood, taking in the vibe of the downtown Yangon, where crumbling colonial buildings and dilapidated workshops share the space with busy fruit markets, gilded temples and glossy new skyscrapers. We even managed to find the colourful back alley on 27th street, which, thanks to a unique art project reclaiming Yangon “rubbish dump alleys”, turned it into children’s playground. To visit the gilded Shwedagon Pagoda we hired an air conditioned cab for a day, but the sheer size of the pagoda made it an exhausting trip, as the weather was hot and humid. There is plenty of food options near the hotel, but we were drawn back to The Strand. 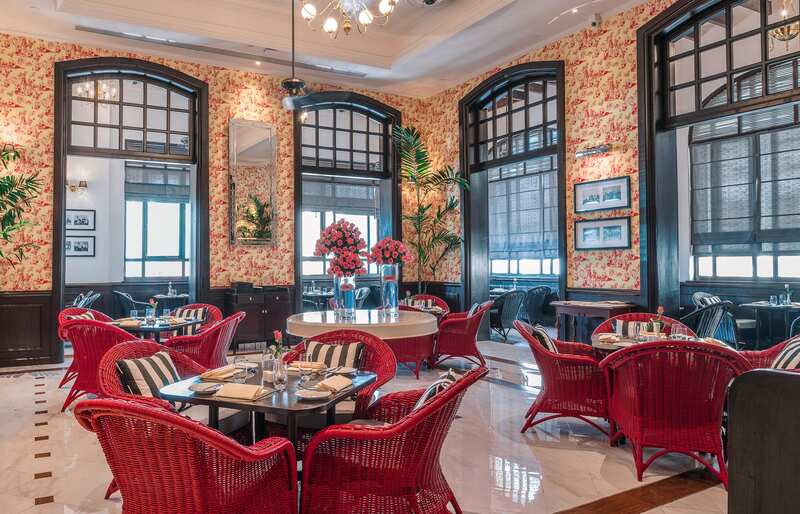 As we discovered, there is no better dining in Downtown Yangon than at the hotel. 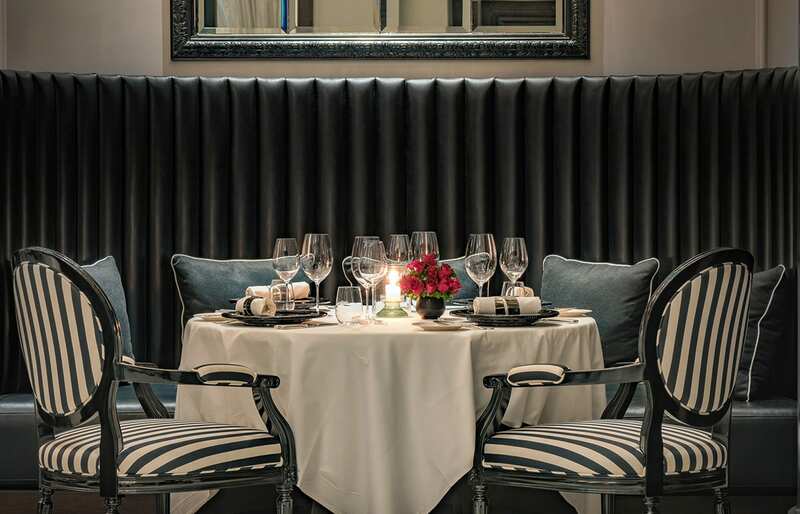 Whether it’s the lovely breakfast served under whirring ceiling fans in The Strand Café, or inventive contemporary dishes in the restaurant, the fare here never disappoints. 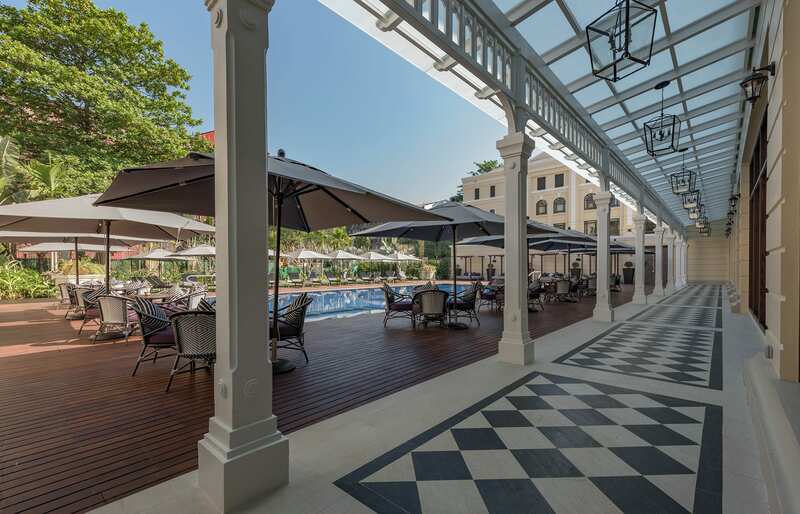 And finally, we ended up by the swimming pool again, where we’d relax, ice cubes clinking in our glasses, and share our observations of Yangon and the hotel — while the day was slowly ebbing away. Just like in the old colonial days. 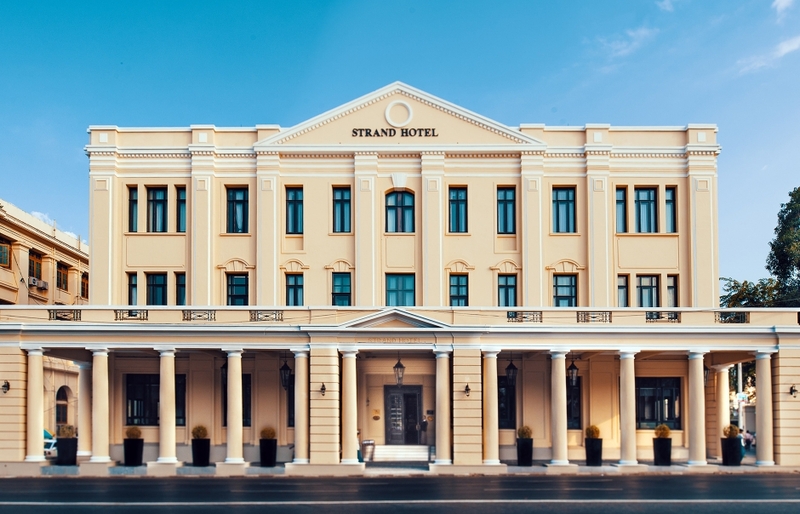 Proud of its distinguished history, the Strand lives up to its reputation of a grand dame of the classic colonial hotels — while its recent update elevates it to the best luxury hospitality standards. 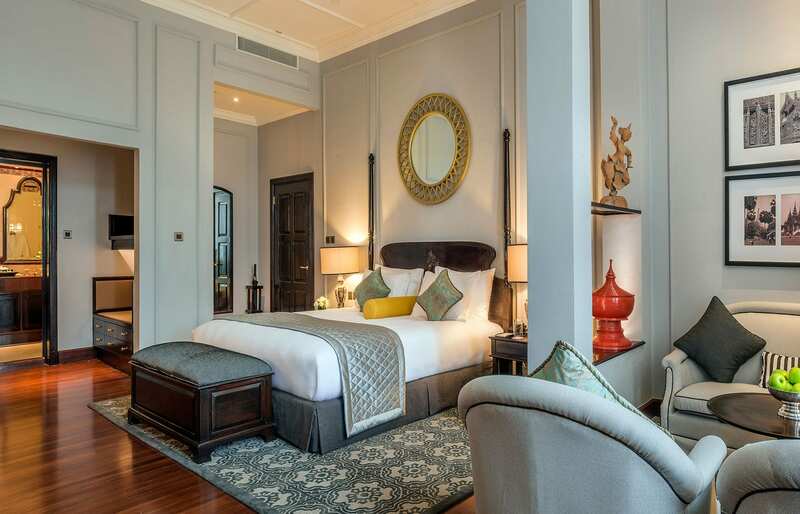 A true gem, and your absolute best pick when visiting Yangon. 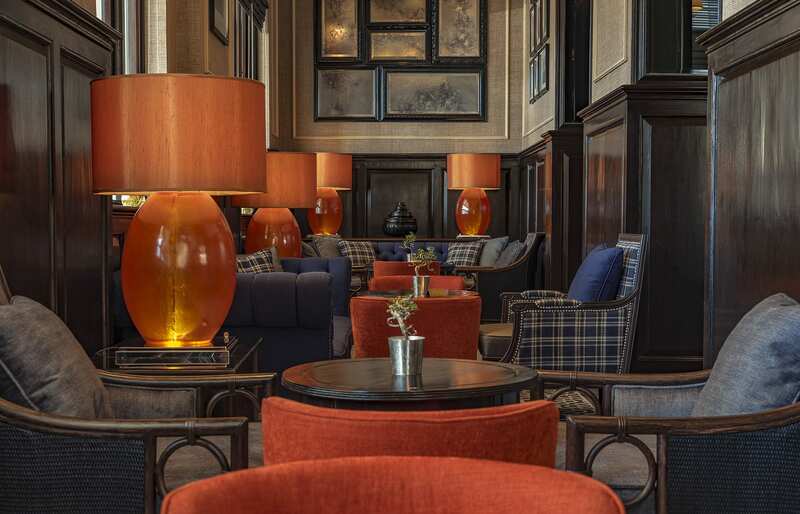 The designers and creators behind The Strand's refurbishment did a remarkable job binding the heritage and the modern luxury in one cohesive vision. Its elegant black-and-white colour palette perfectly blends contemporary aesthetics with original period furnishings and the 21st-century technology. The lobby, the restaurants, the rooms, they all have an atmosphere of being lived-in. 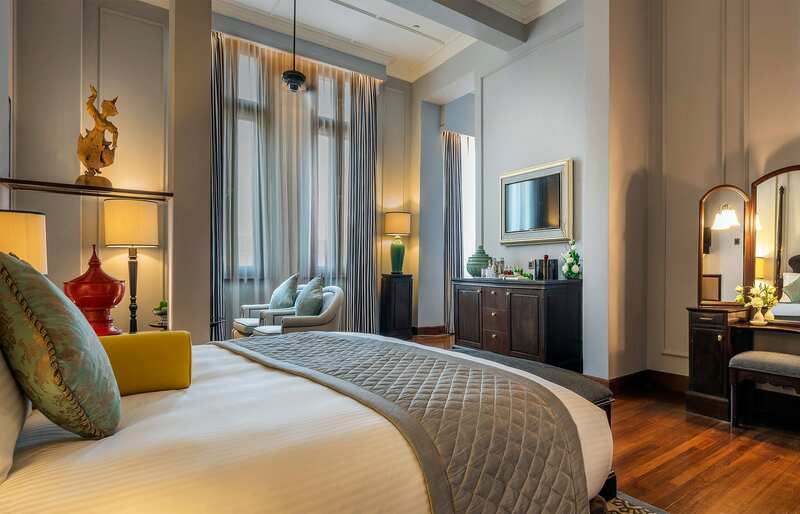 This has an effect of cosiness, inviting the hotel guests to feel at ease. The sense of deep heritage. 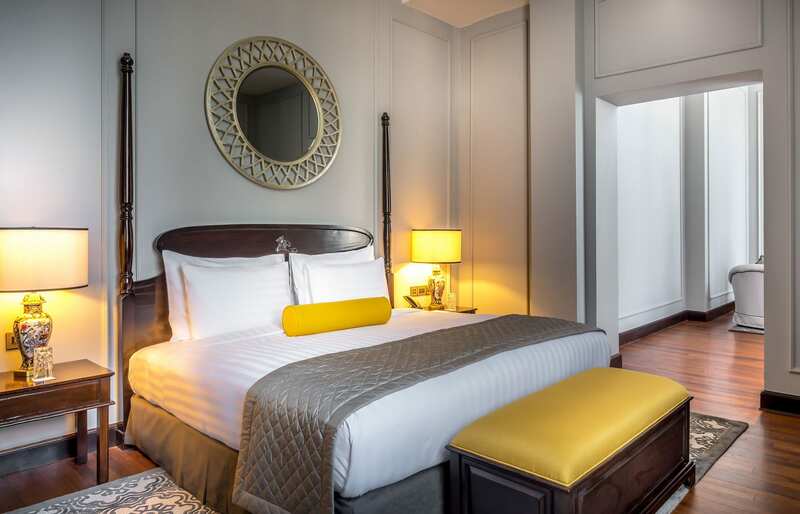 Built in 1901 by the Sarkies Brothers, known for other iconic hotels such as The Raffles in Singapore, The Strand quickly became one of Asia’s most prestigious hotels. Our room was glamorous and eminently comfortable. The bathroom had a classic feel thanks to its white tiles and toiletries placed in oversized ceramic jars. The selection included a piece of thanaka, the ubiquitous in Myanmar paste used traditionally as sun protection. The professionalism, grace and friendly approach of all members of staff. Butlers especially are great, being there at all times and ready to serve complimentary tea and coffee. Their insistence on opening the suite door for us every time was a nice touch as well. The hotel has put a lot of effort into making sure the cuisine is elevated to the 21st Century standards. Make sure to pop in to the Strand Café for the Strand High Tea. Breakfasts are also served here, and they are excellent. 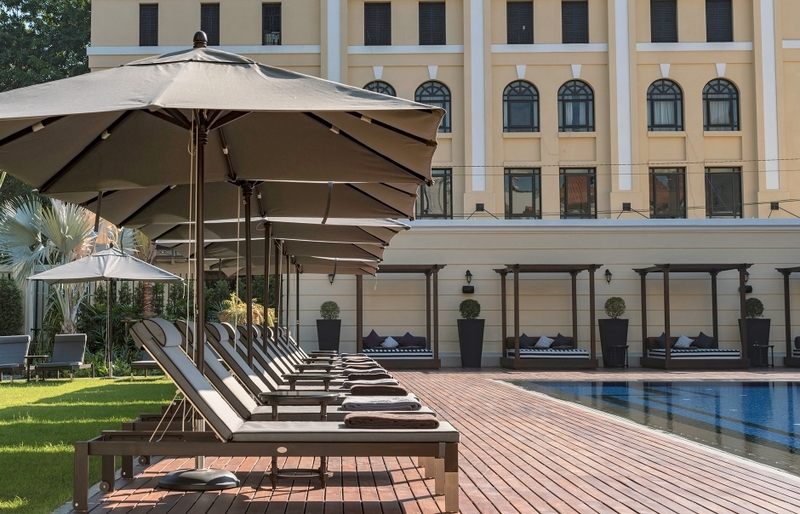 The outdoor swimming pool is the perfect place to relax, especially after a day of exploring the dusty Yangon. The long list of prominent guests of the hotel includes Prince Edward, George Orwell, Peter Ustinov, Rudyard Kipling, and in modern times Pierre Cardin, Oliver Stone, Mick Jagger. 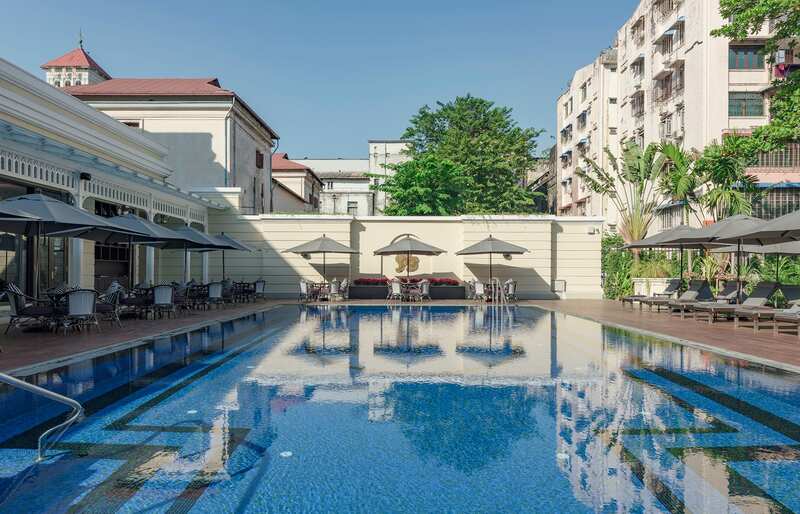 The hotel has a good location near to the Yangon River and the main commercial and diplomatic district, allowing for easy access to the sights of Yangon. Tip: ask at the hotel to arrange an air-conditioned private car. The days here can be hot and the streets dusty. The hotel has a new gym, outfitted with state-of-the-art equipment. There is also a spa. Try a traditional Myanmar massage! Traffic in Yangon can be pretty bad, so make sure to take enough time to get to the airport, even if it's only 20km away. Other then the hotel in Yangon, The Strand operates river cruises on Irrawaddy, in Mandalay. The Strand Cruise is basically a floating hotel and one of the options is to take a three-day cruise to Bagan.